Heartly Congratulations to our New Secretary General , FNPO Sri.Vasireddy Sivaji. The Federal Working Committee meeting held at Hotel Mahaveer, Hyderabad on 27/7/2018. FWC presided by Sri Manik Chandra Dey, Working President. 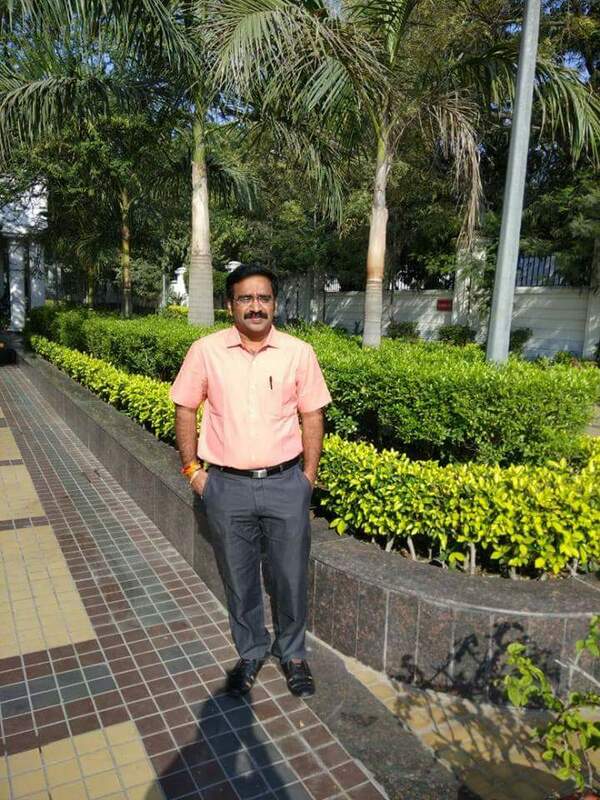 Sri Sivaji Vasireddy, Vice president elected as Secretary General, Sri RP Mishra CS nape c UP circle elected as Vice President and Sri Prerith Kumar Nape c, Bihar Circle was elected as Deputy Secretary General. 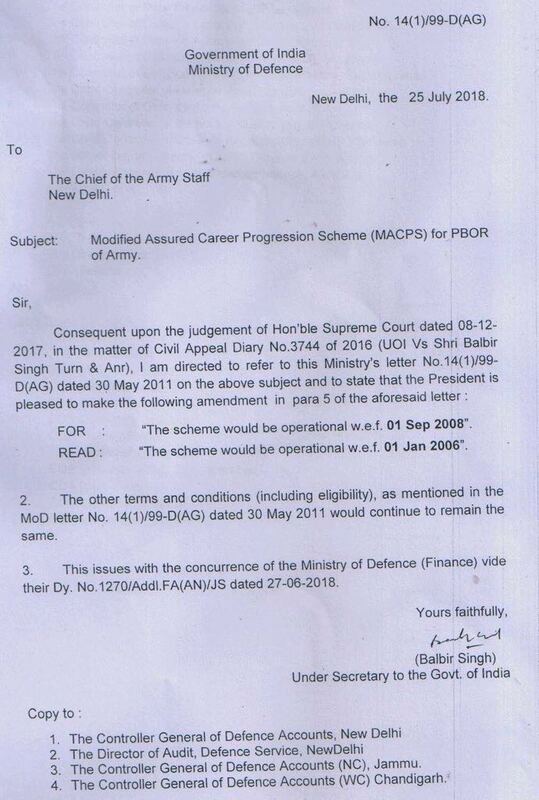 Modified Assured Career Progression Scheme (MACPS) for PBOR of Army : Ministry of Defence. 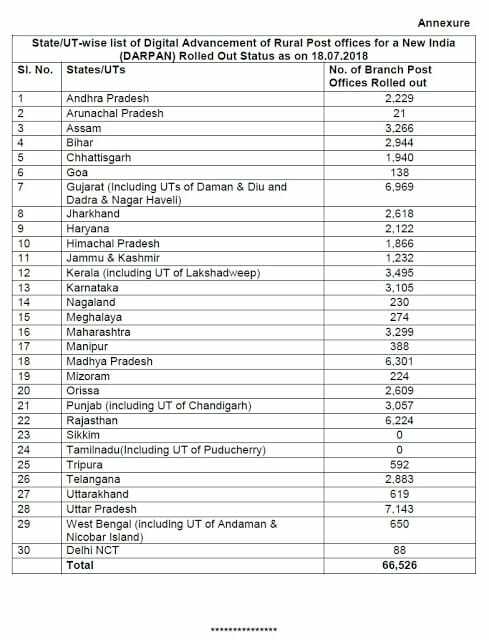 Whether the Government proposes to connect the Rural Post Offices in the Country with digital system and to provide major banking facilities in other one lakh twenty thousand post offices. 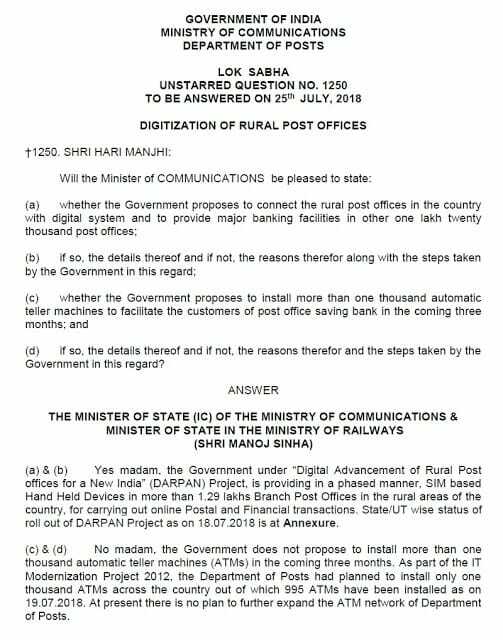 Lok Sabha Un Starred Question No.1250 on Digitalization of Rural Post Offices : Whether the Government proposes to connect the Rural Post Offices in the Country with digital system and to provide major banking facilities in other one lakh twenty thousand post offices. 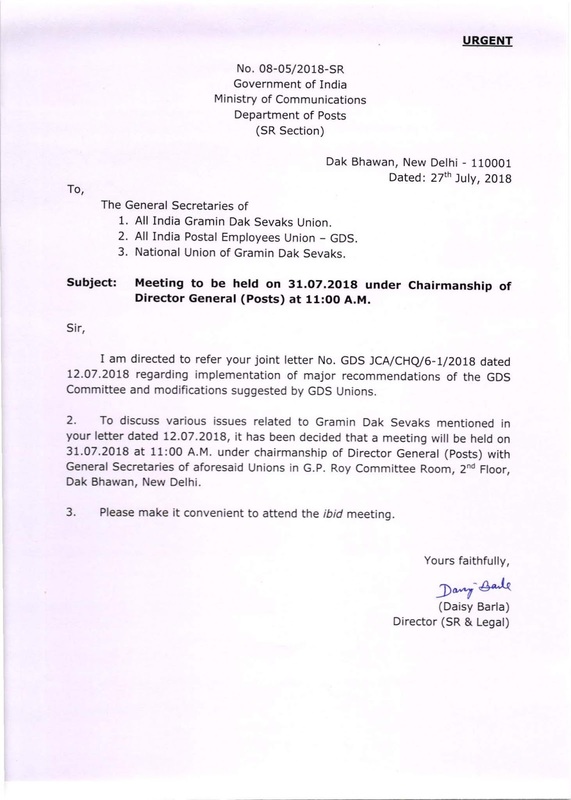 Meeting to be held on 31.07.2018 with three General Secretaries of GDS Unions under the chairmanship of DG Posts.